SKU: 50-1. Categories: For The Wall, Other Eclectics, Architectural & Garden. 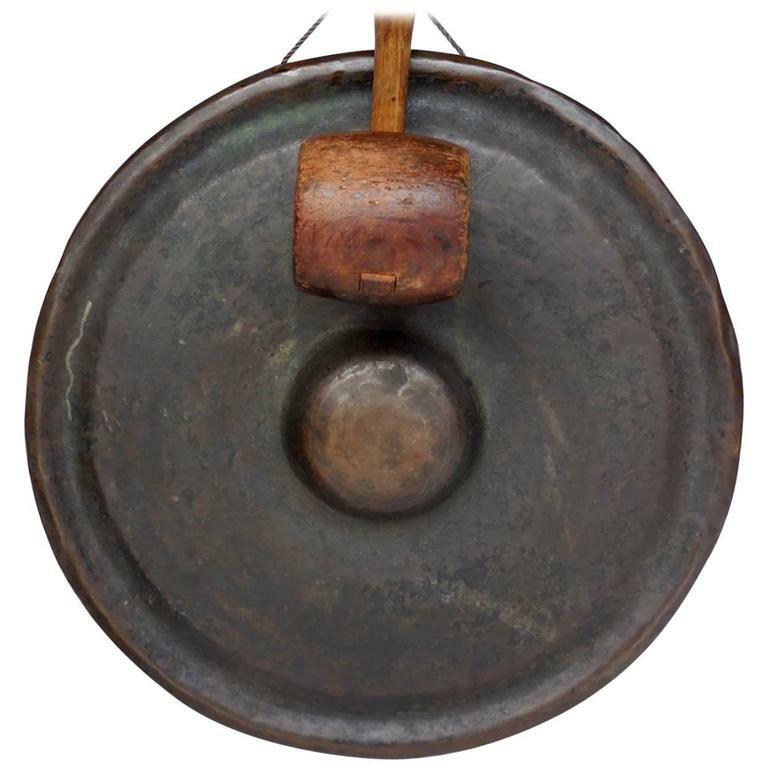 Unique 19th century Japanese petite bronze gong with scalloped edges and large wooden mallet/striker. Great old natural patina on bronze and nice resonance!